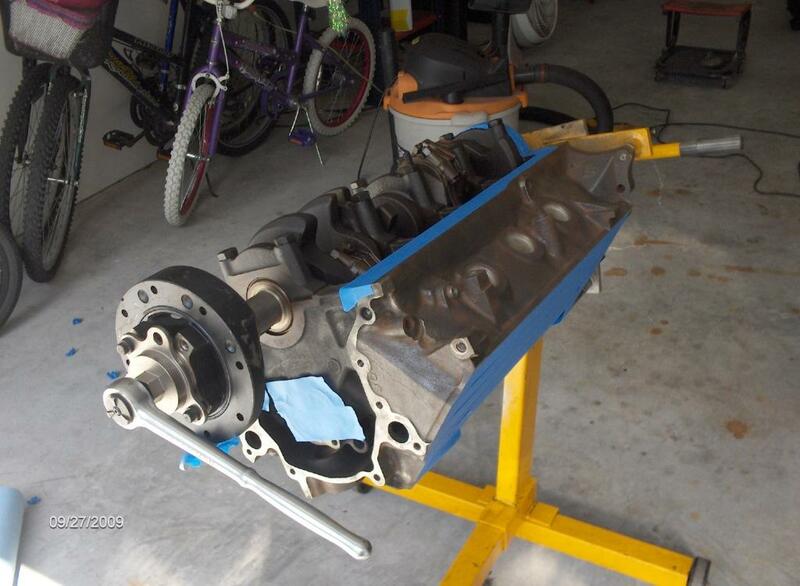 I purchased a 5.0 Explorer long-block from eBay. 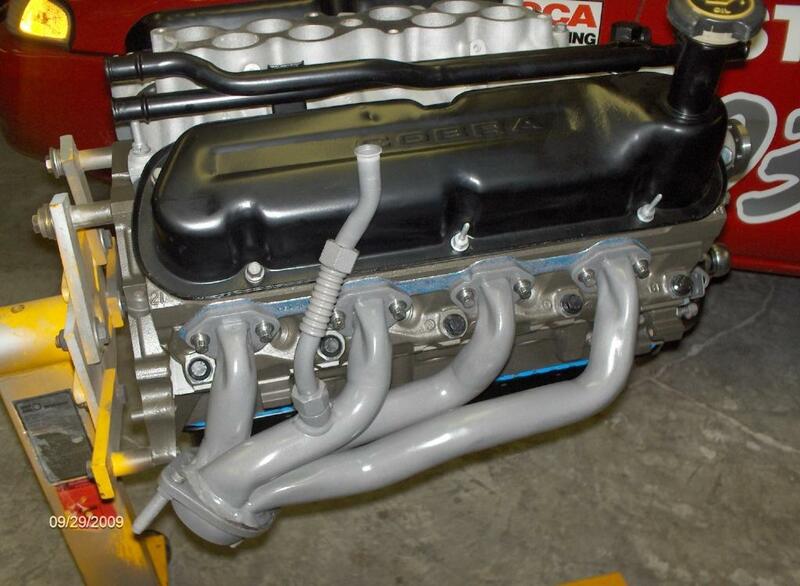 It had a set of GT40p heads on it, but I wanted to use my GT40 heads, as it would enable the use of the stock headers. 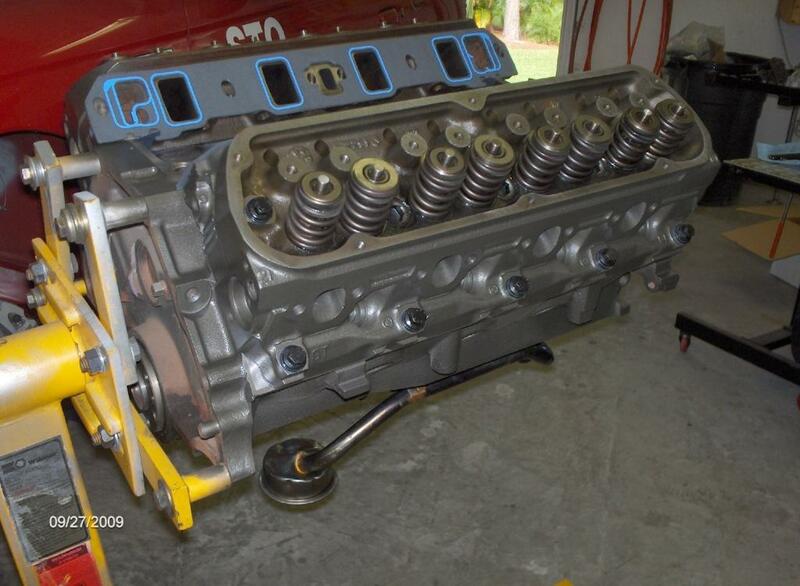 So, the GT40p heads came off and I traded them to Buddy for some labor and the GT40 heads went to the machine shop to be rebuilt. 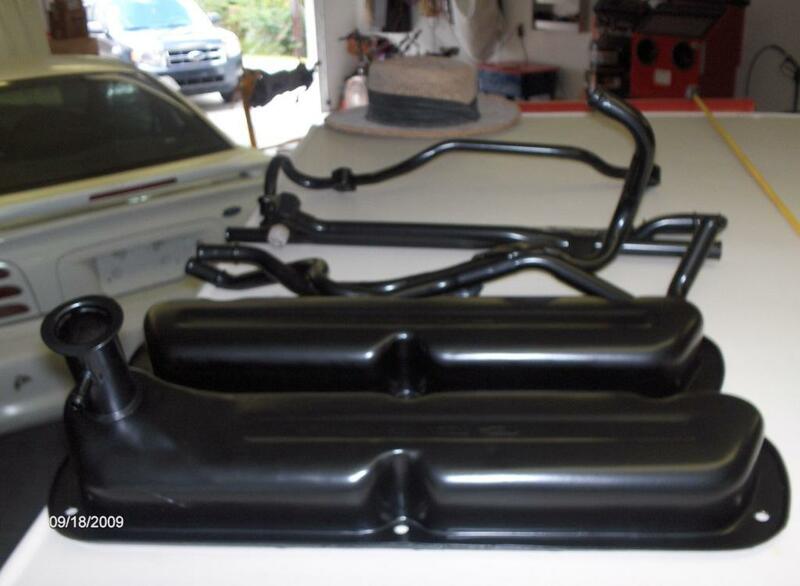 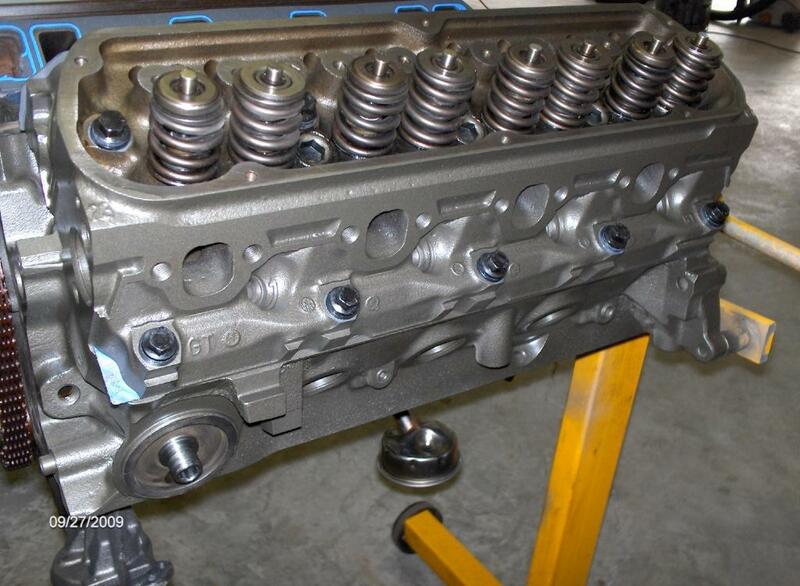 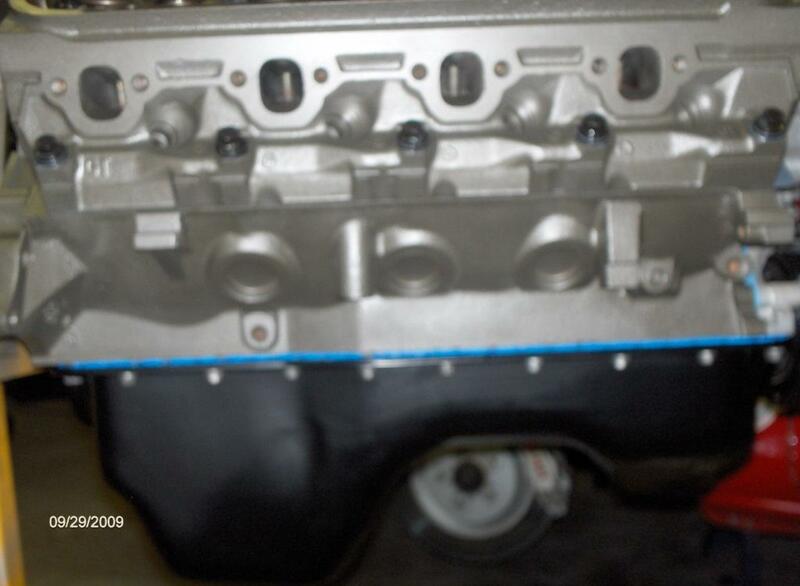 While the heads were at the machine shop, I took the upper intake, valve covers, oil pan, crossover tube, and heater manifold tube to Toliver Powder Coatings in West Palm Beach. 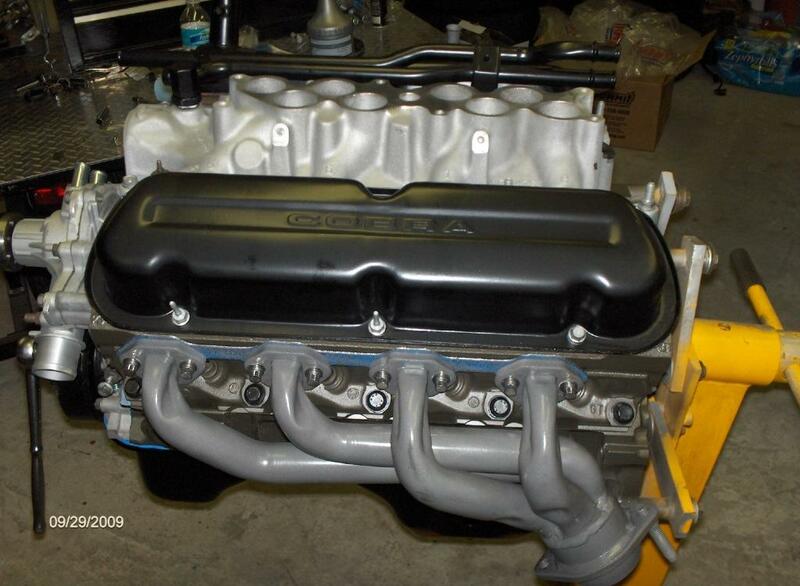 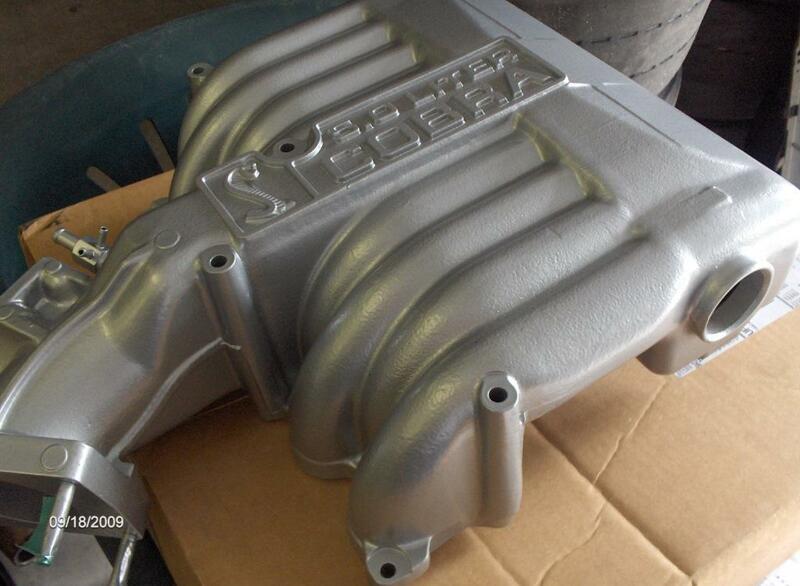 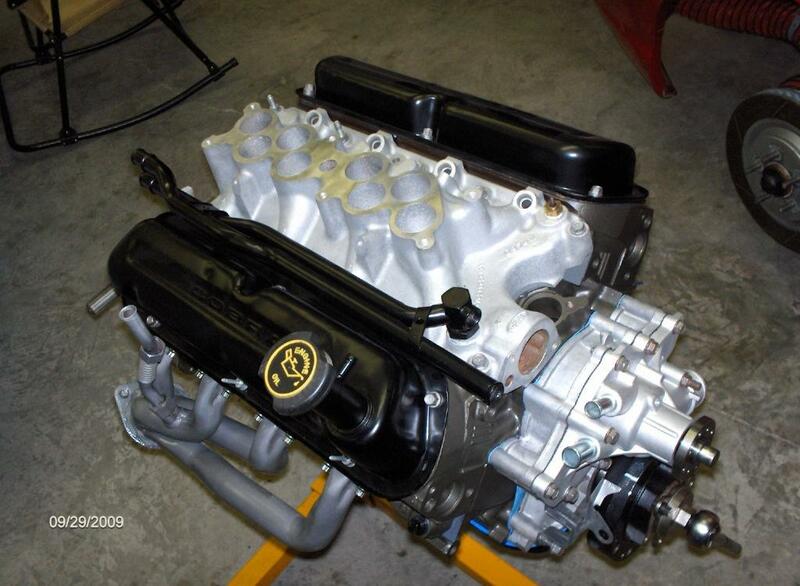 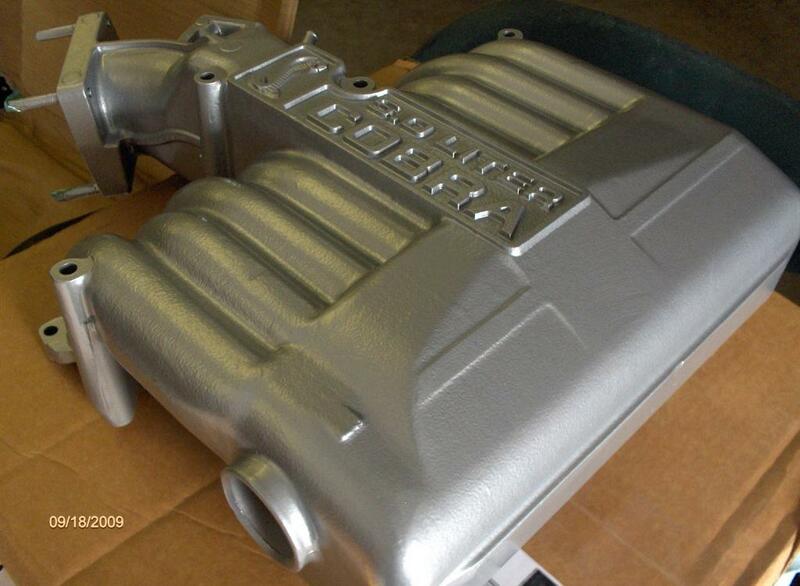 They blasted all the parts and coated the intake in the factory color and all the other parts black. 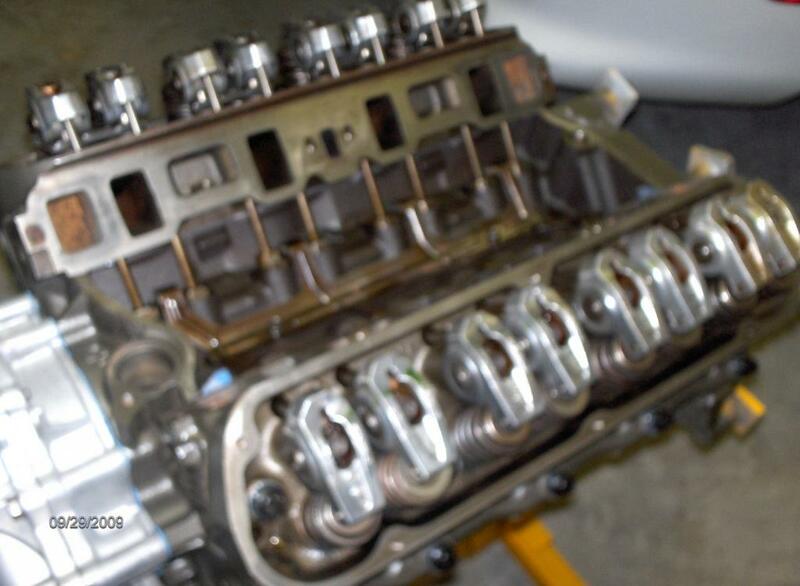 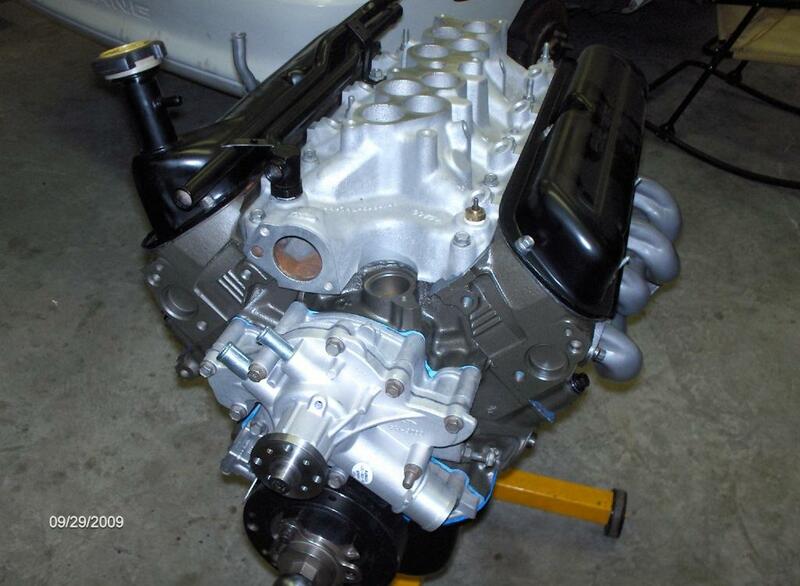 I used ARP bolts for the cylinder heads and exhaust headers. 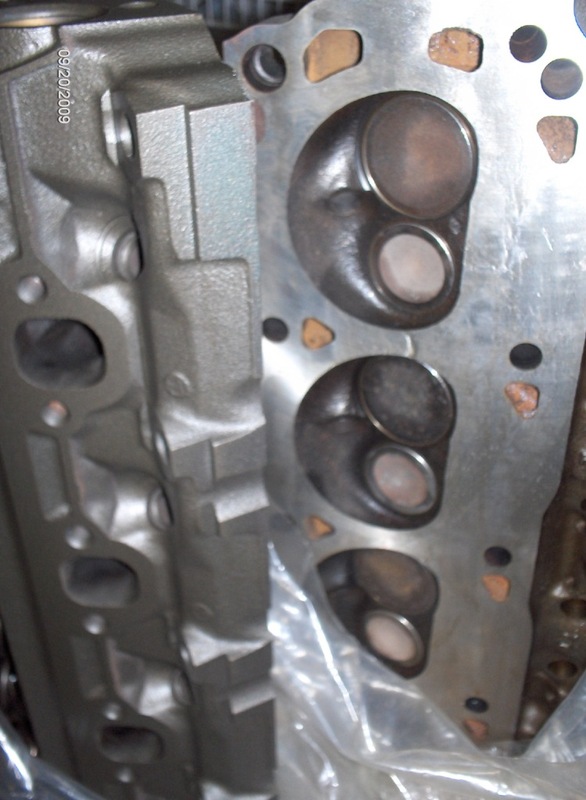 The rest of the bolts , brackets and lower intake manifold were glass-beaded for a like-new finish. 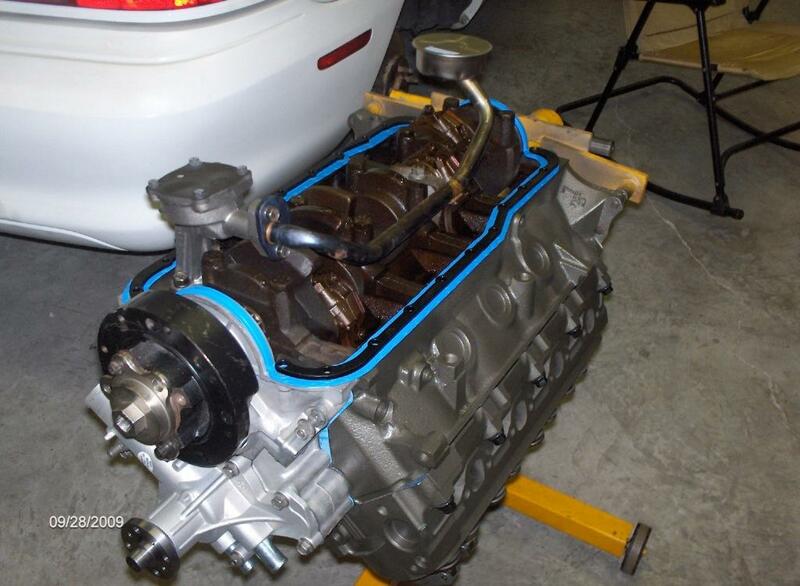 Pulleys, starter, and other parts got a fresh coat of paint, along with the block and heads. 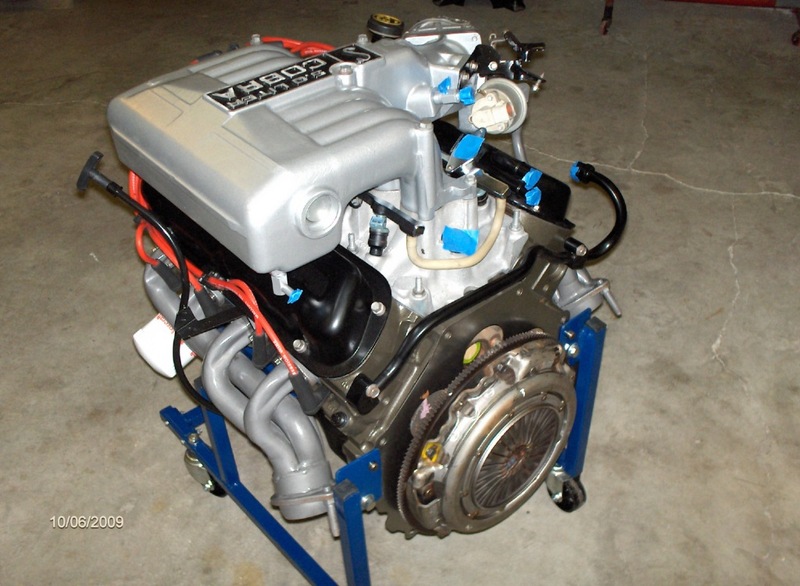 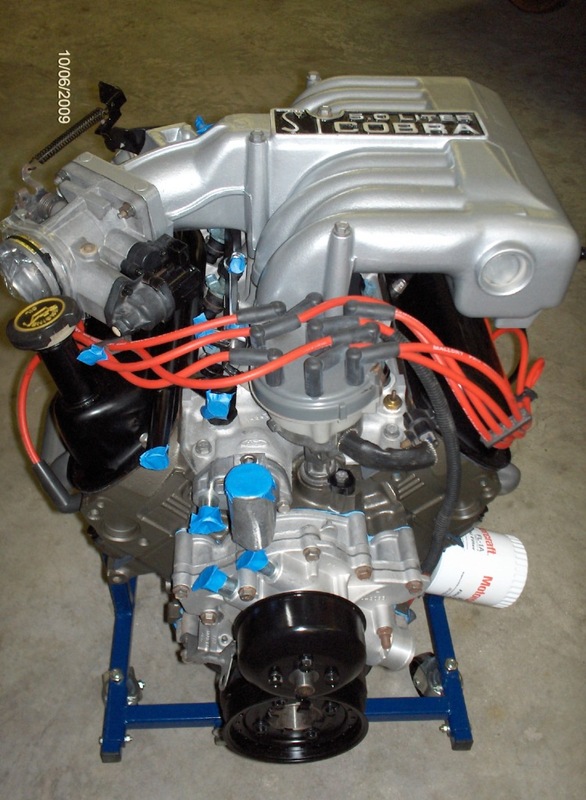 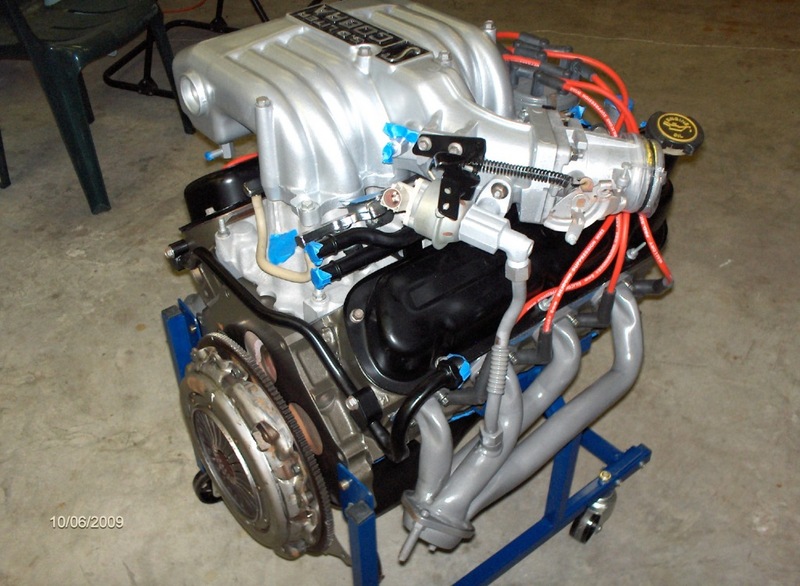 I used the spare distributor, wires and fuel rail from my race car to complete the fuel and ignition system. 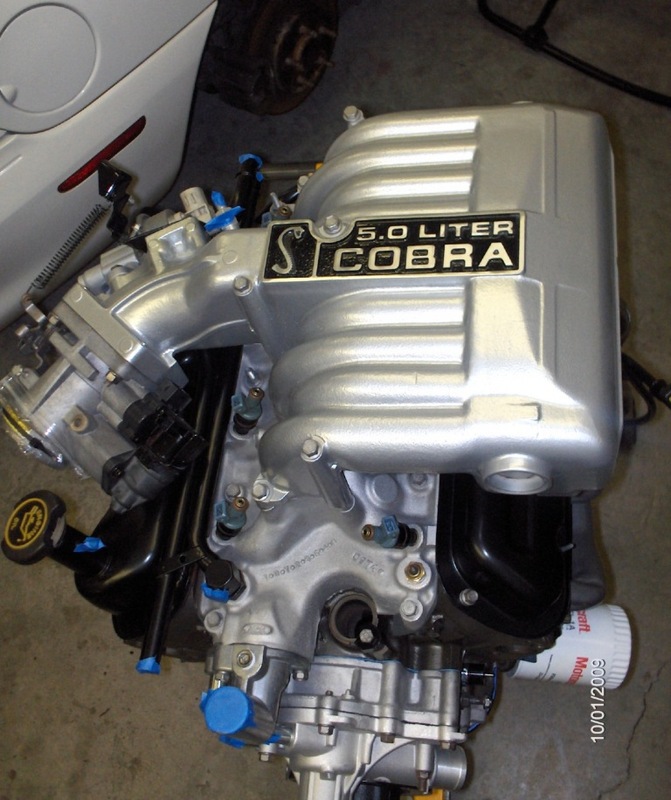 The OE Cobra roller rockers were in good shape and after cleaning could be reused. 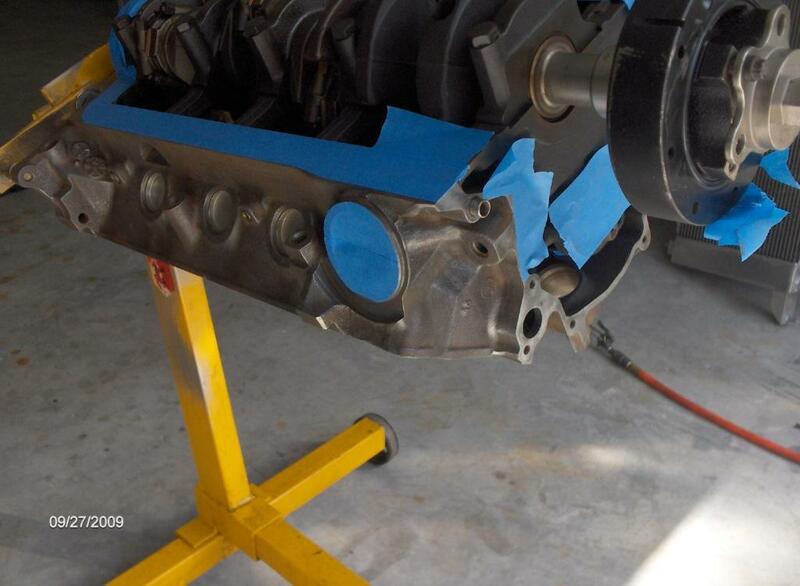 The clutch was in good shape, but the block plate was missing, so I got a new one from Latemodel Restoration. 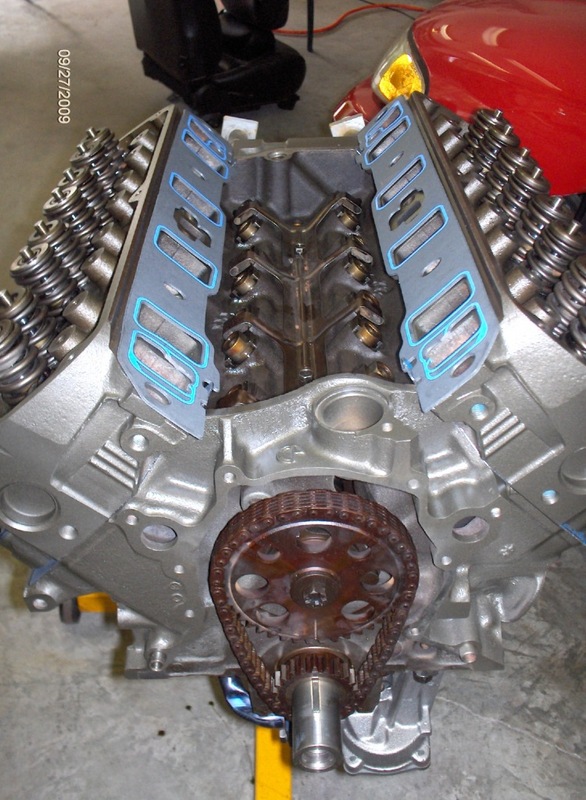 The flywheel was machined for good measure. 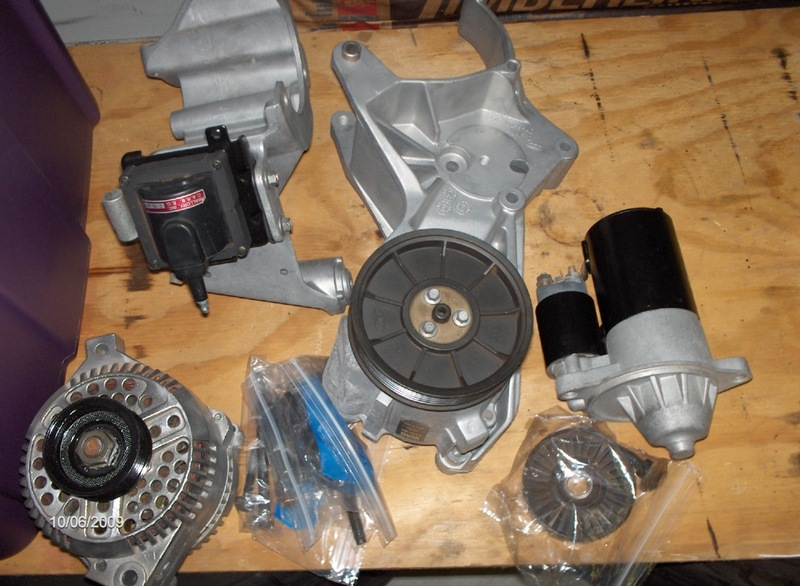 The flywheel and clutch were installed with new hardware from Ford Racing. 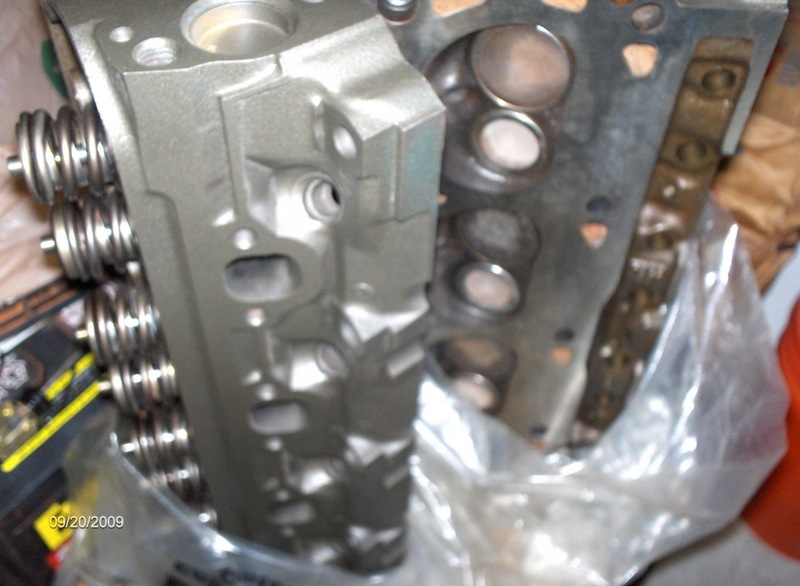 The timing chain in the picture below was not used, and a new OE harmonic balancer and Ford water pump were installed. 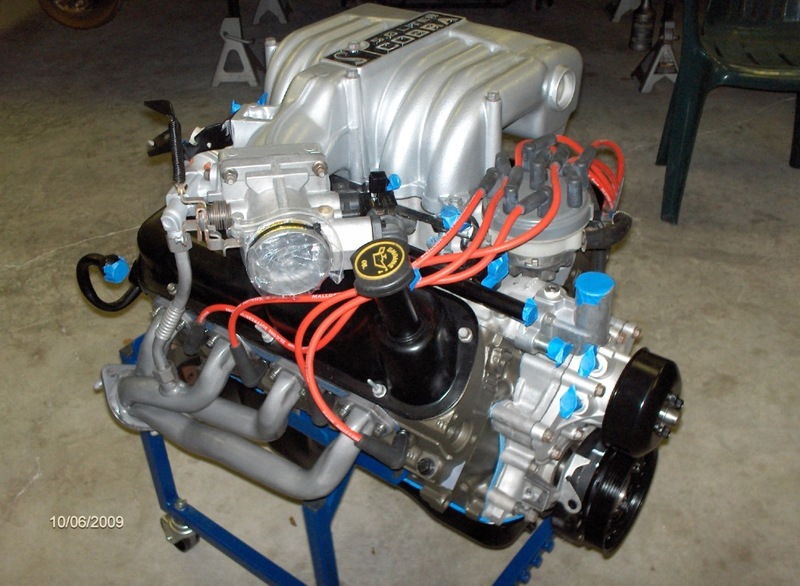 Now that it's complete, It will get stored in a motor bag untill the rest of the car is ready for it to be installed.